One of the big news/pop culture stories in the last week was the scam telemarketers are doing trying to get people they call to say the word “yes” so that that response can be used to answer other questions (like if you want to sign up for a new service). Very topical. The best content can sometimes be the things which are perishable. This was and near every show discussed it or did something with it. 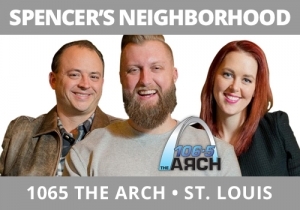 Spencer’s Neighborhood, 106.5 The Arch, St. Louis did something a bit more creative. The Arch is a brand built on a quirky, slightly off-center perspective. We have a morning show that perfectly fits that image. Here’s what they did with it – a tongue-in-cheek “phone call” with someone trying to get the team to say the word “yes” in humorous ways, with none of them successful. This break, because of its interesting execution and fun was way more sticky than just chatting about the topic.